Our most precious asset is usually our hair, no matter the length of the tresses. Whether we’re looking at a long waist length mane or a pixie cut of certain glamour, our lovely locks are precious and often full of unique problems we must figure out a way to solve. These include strange cowlicks and unruly curls that pouf up like crazy if we don’t care for it right. The problem is that there are so many hair myths about how to care for your hair that we often have a hard time separating fact from fiction. There are many rules, all somehow meant to cover up or correct possible flaws in our potential beauty. The disapproving glances of strangers, grandmother’s tips and tricks, the ads that scream at you because your hair is not as shiny as the model’s‚Äö√Ñ√∂‚àö√ë¬¨‚àÇ it all has a major effect on how we look at ourselves and what we see reflecting back from that mirror. Just because you have been categorized into the non-beautiful section doesn’t mean that’s truly what you are. You aren’t ugly. You certainly aren’t grotesque. If you don’t fit the mold than that means you broke it when you were born so that no one else can look as amazing as you do. Now that is a pep talk I always want to be giving myself when I stare at that mirror and find characteristics to admire instead of detest. Some hair styling rules are just made to be broken. Here’s where they are totally, utterly and completely wrong about your hair and your beauty. Check out these 12 common hair myths that we have debunked for you! 1. Wearing extra pounds means you can’t pull off a pixie: That is a whole load of idiocy right there and then. One would normally swear in this instance. The truth is that you can look fabulous in a pixie or any other form of short hair, no matter you size. It’s all about your face and the contours there. In any case, if you love the short hair on yourself, that confidence will show and you will look beautiful with whichever hairstyle you choose. Your size doesn’t matter and there is no excuse for not doing what you want‚Äö√Ñ√∂‚àö√ë¬¨‚àÇ particularly if it’s all a societal myth. Wear it and own it and you will look magnificent. 2. Bangs don’t suit a baby face: Who made this rule up? Yeah, they look great with a higher forehead and on, but have you noticed that most kids have bangs as their parents do their best to keep the hair out of the eyes? Somehow a round face means no bangs allowed. You’re wrong; bangs can be cut in different ways, from thinner wisps to thicker side sweeps. Bangs are meant to fit well with any shape of face and an experienced stylist can get it right for you. 3. Red hair looks terrible with certain skin tones: That is absurd! Have you never seen an Indian with henna in her hair? Have you never noticed that people sometimes color their hair greens and blues and blonde? The skin tone is a silly reason to steer clear of the red hair. If you think you’ll look great with it, if you’re feeling red is your color, then you should, without a doubt, go for the look. There are so many shades of red to choose from, this myth is beyond ridiculous. One of them is bound to match your skin tone well. 4. Cutting your hair makes it grow faster: That is a terrible myth that only gets out hopes up. It’s the myth we’ve been told as kids when we didn’t want to go to the local barber shop. However, the truth is that it won’t make your hair grow faster but it will keep it healthy. The breakage make the hair look thinner, while when you cut it, particularly with blunt ends, it looks thicker and fuller. This might give the illusion of faster growth that’s simply not true. Unfortunately we trick ourselves and our children into believing it is. 5. If you pluck one, you’ll get double the greys: Thank goodness this is a myth! Can you imagine how terrible a feeling it is to remove a single grey piece and then see 2 or 3 sprout in its stead? More any woman knows about that horror felt the moment you realize what you have done. Fear no more though! It’s but a myth. The bad news though is that if you have a single grey, chances are that you’ll be getting a few more very quickly, if you don’t already have more. You shouldn’t pluck the hair for other reasons though. Your hair becomes weaker over time and the more you pluck the strands, the less likely it is that they will grow back. Here and there is not a problem at all, but once you start going grey all over, you might want to see a stylist and choose a color that you would prefer your hair to be. 6. If you have greys, you should cut your hair short: Who doesn’t want to be a lovely silver vixen, a princess of the moon, so to say? Why let your greys and silver strands age you when you can wear them with style and let them become a part of your fabulous self. Why cut it short and let it age you with something that’s going to be unflattering? You can go for a style that looks great, young, chic and perfectly you, long or short, but never feel the need to show yourself as older than you are just because you are now a salt and pepper look. Revel in it, add more silver to create fashionable streaks and in general just enjoy your mane the way it is. If you feel the need to color, go for it; you are not obligated though. You are your own master and get to do it your way. If you are over 60, it’s not necessary to get that pixie. Instead, opt for a pretty braid that falls over your shoulder or blow-dry our gorgeous locks into straight or wavy styles that put Hollywood stars to shame. 7. You should shampoo every day: You should be shampooing your hair as not doing so will cause oil build-up that will lead to inflammation and ultimately stunt hair growth. However, shampooing every single day will also cause problems as it will dry out the natural oils and not allow for its natural lubrication. Plus, it makes you overproduce sebum to make up for the dried oils, making your hair become greasier, sooner. You can shampoo 3 times a week and you’ll be great. You can also use alternatives to shampoo, such as baking soda and apple-cider vinegar. Go for the more natural shampoos if you want to keep to it and reduce the chemicals you use in your hair. Either way, don’t go without shampooing because you think it will cause you to shed, and don’t shampoo daily because it is counterproductive. Keep to a healthy balance, use more natural shampoos to get the work done and keep your scalp hydrated. That’s the best way to ensure you never have shower worries again. 8. You need to wage war on your frizz: Why? Because it’s unnatural? It doesn’t look good? Honestly, that’s all a perception of the mind. Once it looked strange to tie your hair, now it’s the frizz that causes problems. Instead, you should go with the flow and style your hair according to the weather, without fighting a losing battle. Sometimes your hair is going to be frizzy, particularly if you’re biracial it appears. You need not frustrate yourself over it, instead enjoying the soft halo it creates over your head. Try different products and routines to tame the mane, but if you find that nothing’s working, just let it be. Chances are it will be fine tomorrow and you no longer will need to fret about all that frizz. 9. Blondes have more fun: That is discriminatory in every way possible. There are so many innuendos to be found in that simple statement, it’s not even funny. Being blonde does have its perks, such as garnering attention when you are looking for some or having random strangers commit to random acts of kindness just because of your looks, it can also be a problem. One, people will generally think you’re an easy lay, you’re dumb or any other unbelievably ridiculous stereotype. Plus, why go with a simple blonde shade when you can experiment with brighter colors and have fun with it. It is, after all, just hair that will eventually grow out, no matter what crazy hue you decide to make it. 10. Coloring the hair makes it unhealthy: There are many products that can damage your hair, causing problems for you in the long run. 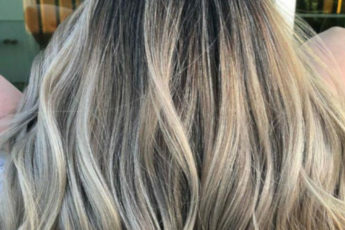 Bleaching, for example, is probably one of the worst things you can do to your locks, as removing the color also makes it thinner and more brittle, prone to breakage. 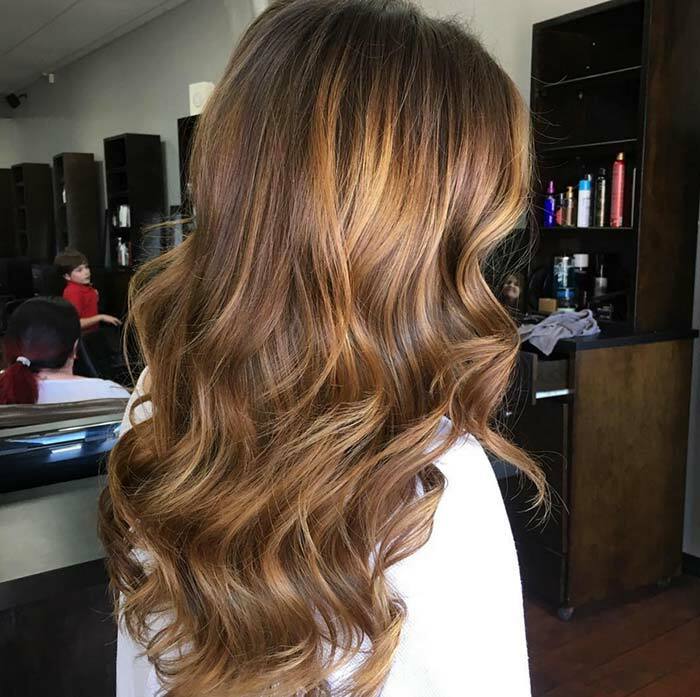 It is perfectly fine to color your hair if you’re going darker though as most products on that end are safer and often add shine and a healthy volume to the mane itself. So don’t be afraid of damaging your hair, so long as it’s not bleach you’re using and it’s a darker shade you’re trying to achieve. 11. You shouldn’t dye your hair while pregnant: We’re not quite sure who came up with this particular myth but it’s definitely a piece of baloney. The risk does exist, of course, but that’s because a woman, particularly a pregnant one, should not be inhaling ammonia. The safer alternative to hair color products is the natural henna dye that is plant-derived and ammonia free. You can’t, however, have the ammonia absorbed through the scalp and there’s very little of the chemical in the products that is normally cleared out of a room when you’re at the salon. In either case, henna is a favourite and may be your best route. Plus, the color is awesome and the Middle Eastern/Indian staple is great for your hair and scalp! You might even want to try a henna tattoo while you’re at it, particularly around wedding season. It’s a rather interesting tradition to henna your hands, sometimes the face and often the feet. 12. Your shampoos make a difference to your hair: Here, you have to be careful. What type of difference are we talking about? If you think certain shampoos will make your hair fuller, you’ll be mistaken because while certain ingredients to help increase the blood flow to the scalp that can stimulate hair growth, it’s more of a volume you’re seeing that will come right down with a different product. If you think changing around your shampoos is going to be a healthier practice for your hair, then again you believe in a myth. You can use the same shampoo or change it up to get different effects, sometimes even combine them for some fun, but it makes no difference if you change or no. It’s just that each product has its own unique effects on your hair. You can stick to the same shampoo for 50 years and nothing will happen though. You might just get bored and need some novelty in your hair. As for sudsy shampoos cleaning better, that is another lie someone fed you and it was most probably a belief that came about from watching too many shampoo commercials. Shampoo doesn’t need to lather to do its job well. On the contrary, some of the best effects I’ve seen are by shampoos with minimal lather. While it may not give you a better clean, the sulphates causing the suds will probably fade your hair coloring if you dye it. It can even pose a health risk if you’re not careful. Try a shampoo wherein the sulphates have been replaced with glycerine instead for a safer wash.